Homeless Pit Bull who Made his Bed Daily, Finds a Home! Pit Bull who Made his Shelter Bed Daily, Finds a Home! If you haven’t been following this heart melting story, you need to see the video! Rush quickly stole the hearts of many after a video of him making his shelter bed went viral. 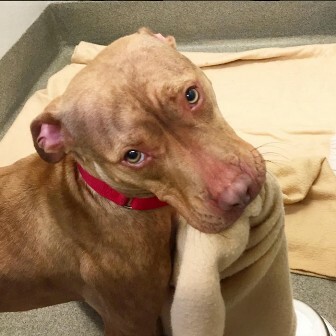 Rush – Homeless Pit Bull who Made his Shelter Bed Daily, Finds a Home! Pam’s Virtual Assistant Services is a proud supporter of Animal rights. We, as a team, feel that all animals deserve to be loved and to be treated kindly. You can find more stories like this under Pam’s Corner. We would also like to share an awesome website with all animal lovers. BringFido is a site that connects animal lovers with animal friendly facilities. If you haven’t heard of them or have never visited the website, definitely check it out!